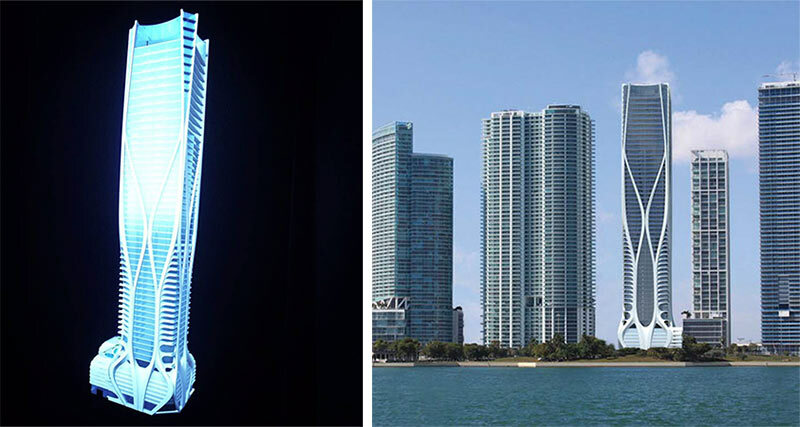 In the same futuristic spirit of its design, One Thousand Museum, the proposed Zaha Hadid-designed condominium building in Miami, Florida, has recently been rendered in hologram form. As anticipation builds about what will be the Pritzker Prize–winning architect’s first residential building in the United States, Zaha Hadid Architects continued the hype with a Miami party and holographic unveiling of the 705-foot condo tower. 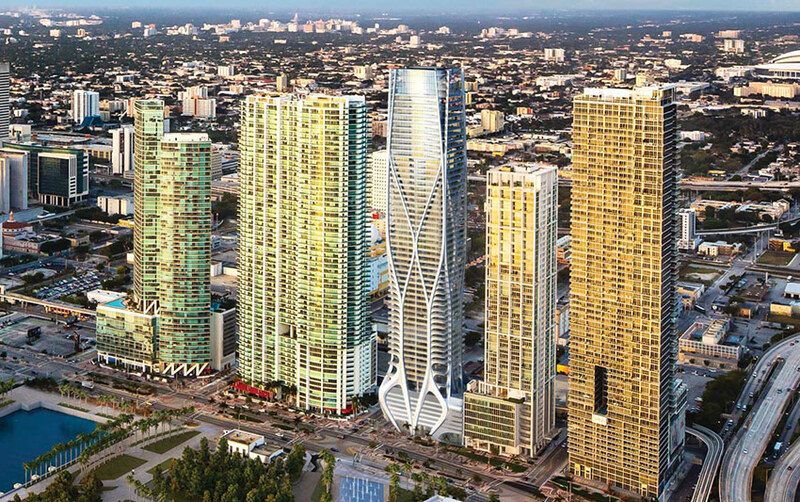 According to the South Florida Business Journal, the new digital rendering underscores Hadid’s commitment to curvilinear forms, especially prevalent in this sculptural tower that will soon join the Magic City skyline. 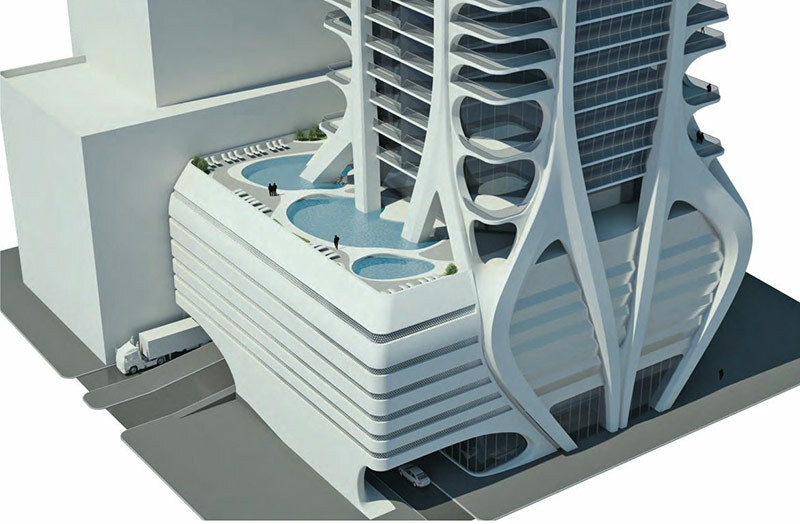 Curving exoskeletal ribs over a glazed glass facade define areas of private terraces and balconies, simultaneously creating a space age schematic on the exterior of One Thousand Museum. The facade also gives volume; windows sculpt themselves into three-dimension, a crystalline pattern under the curving web. The condo is designed with luxurious amenities for its residents, including a rooftop spa and wellness center on the wide podium base. Situated in the center of the Miami skyline in Bicentennial Park, a downtown area to be renamed “Museum Park” after the December 4th opening of Herzog & de Meuron’s Perez Art Museum Miami, the tower’s double height glass crown will offer spectacular panoramic views of Museum Park, Biscayne Bay, and the Atlantic Ocean. At the recent Miami gathering, hosted by local celebrity architects Gregg Covin and Louis Birdman in the Covin-designed residential building next door to the One Thousand Museum site, architects from Hadid’s firm were present for questions and mingling with privately invited guests, said the Business Journal. 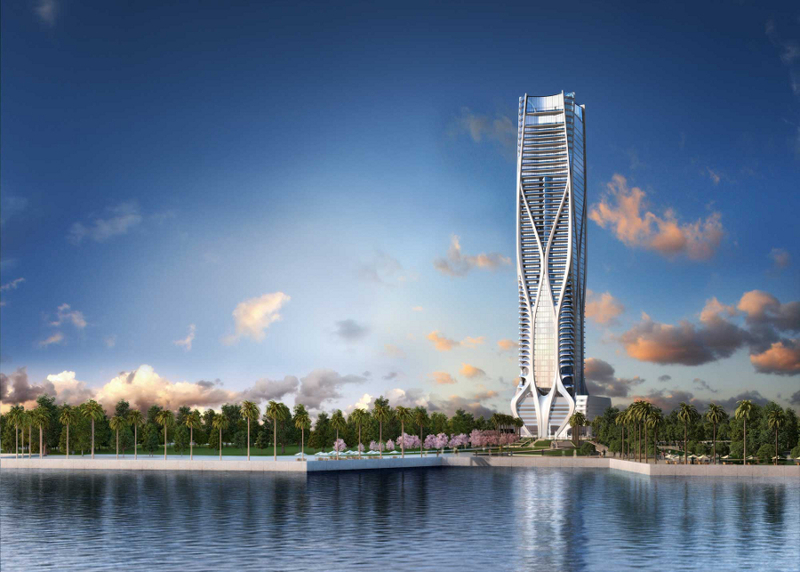 Project director Chris Lepine, lead architect Stephan Wurster, and lead designer Michael Powers represented the company and presented the 3D rendering.